Your wisdom teeth, which are located in the very back of each row of teeth, generally begin to emerge sometime during adolescence or early adulthood, or between the ages of 17 to 21 years. You have two sets of wisdom teeth (also called molars) for a total of four teeth. These sets include your upper wisdom teeth and lower wisdom teeth. 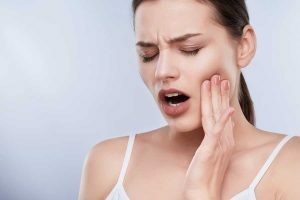 It is common to experience impacted wisdom teeth or they become misaligned, which may be the reason for a wisdom tooth extraction by an oral surgeon. If they grow in properly and you do not need wisdom teeth removal, then you may have other reason for concern. 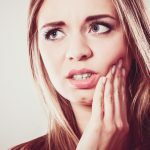 It is possible, although less common, that you may not have wisdom teeth at all, or that you have more than four, which can often cause them to become impacted. Like your other teeth, wisdom teeth can be prone to cavities. If you think that you may have a cavity in one or many of your wisdom teeth, you may need to visit your dentist for an exam. There are a few symptoms you can look for to determine if you may have a cavity in your wisdom teeth, but first, you need to understand what exactly a cavity is. A cavity is formed when a tooth experiences decay, which can leave a pit in the tooth. This decay happens when your teeth’s protective covering, the enamel, is weakened by the acids and bacteria in the foods you eat. Cavities can be painful, but not always. They are sometimes visible at the surface of the tooth, but other times can be inside the tooth and impossible to see with the naked eye. You can help prevent cavities by keeping up a regular dental hygiene routine, which typically consists of brushing your teeth twice a day (preferably with toothpaste that includes enamel protection), flossing, and rinsing with mouthwash. Avoiding foods with a high sugar content, sodas, and starchy foods may help you avoid cavities, while some other foods may help fight tooth decay. These healthy foods for your teeth include fruits and vegetables that are high in fiber, some teas, and dairy products and cheeses, which are high in vitamin D and calcium to support bone strength (teeth are bones after all). Some other symptoms may be associated with a cavity in your wisdom teeth. The best way to know for sure if you have a cavity in your wisdom teeth is to consult your dentist for an oral exam. Dental filling: Cavities can sometimes be filled with a material such as gold, silver, plastic, or porcelain. Filling a cavity can help prevent more acid from reaching the affected area. 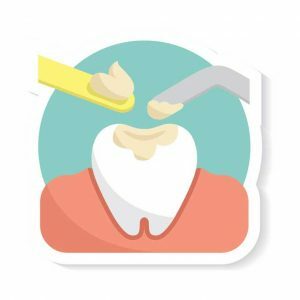 With proper care, a filling can prevent a cavity from spreading or worsening and decrease pain and discomfort by not allowing food fragments to enter the cavity. 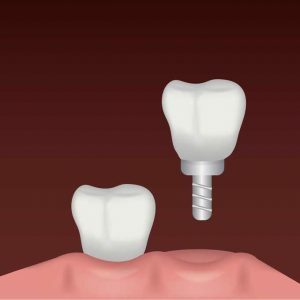 Dental crowns and caps: Crowns and caps are placed over the teeth to cover and shield surface damage, such as from tooth decay. They help to protect the tooth from further damage by shielding the cavity or affected area from food, drinks, and bacteria. They also help to reshape the tooth and can help strengthen a weak or broken tooth. Extraction: In the event that the damaged tooth is beyond repair or is causing you excessive or frequent pain or discomfort, your dentist may suggest that you have it removed. This is a surgical procedure that can often be done with local anesthetics and has a recovery time that can be as little as 24 hours and up to two weeks. Removing sugary foods from your diet and replacing them with high-fiber vegetables and dairy products. Replace sugary drinks and carbonated beverages with fluoride water or a sugar-free alternative. Using a fluoride toothpaste. Some types of toothpaste offer extra protection against cavities as well. Floss regularly, or after every meal. Use a mouth rinse to kill bacteria in hard to reach areas. 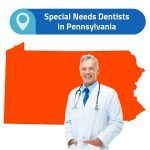 See your oral health care specialist regularly for checkups. Change your toothbrush regularly. Some professionals say that you should change to a new toothbrush as often as every three months. Take fluoride supplements. Fluoride is important to preventing tooth decay from bacteria. Not all cavities hurt or cause discomfort, so it is important to be aware of your dental health. Regular dental checkups can help you identify cavities quickly and keep your oral hygiene in check. A cavity in your wisdom teeth, if left untreated, will continue to spread. 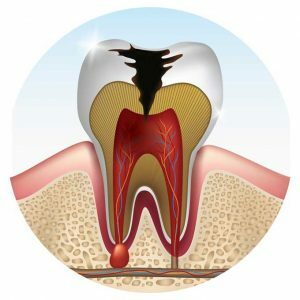 A small, unnoticeable cavity can easily become a much larger problem that is paired with moderate to severe pain, swelling, discomfort, and sensitivity to certain foods. 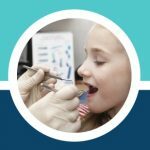 When a cavity is caught in the early stages, the tooth can often be saved with a simple dental procedure. A larger or more serious cavity may need to be removed. If you think you have a cavity in your wisdom teeth, schedule a checkup with your dentist for a checkup and to discover your treatment options.